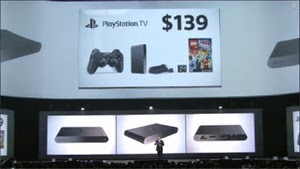 Playstation TV is coming stateside... for $99! Above is the image for the $140 bundle including a DS3 and a voucher for the Lego Movie. Want to pick this up for a tv in your house? Let us know below!